The second stop of the 2019 TYR Pro Swim Series kicks off one month from today at the MidAmerican Energy Aquatic Center at the Wellmark YMCA in Des Moines, Iowa. Whether you’re a swimmer or a fan, the Pro Series offers exciting opportunities to be a part of the best mid-season swim meet around. If you haven’t booked your trip already, here are four reasons to head to Des Moines next month. Adjusted qualification times.USA Swimming recently adjusted the qualifying times for the Des Moines stop of the series. If you didn’t make the cut before, check again. This might be your opportunity to take advantage. Get a sneak peek of the pool ahead of this summer’s Futures Championships.Des Moines will host one of this summer’s four Futures Championship meets, a series of meets that are a step between the Speedo Sectionals meets and the Junior National Championships. The entire middle section of the country – more than 20 LSCs covering over a dozen states – are assigned to the Des Moines Futures meet, so if that area includes you, this is a great meet to get a preview of the competition pool you’ll be swimming at in six months. A chance to watch (or race against) the best swimmers in the country. If you’ve dreamed about seeing the biggest names in the sport compete in person, or you’ve fantasized about racing against them yourself, now is your chance. 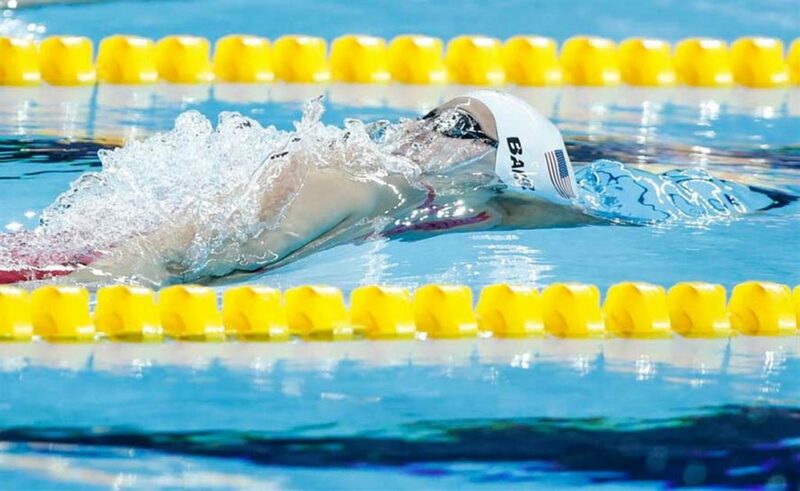 Olympic gold medalists Katie Ledecky, Ryan Murphy and Simone Manuel were just a few of the top names to race at last month’s meet in Knoxville, along with Olympic medalists Chase Kalisz and Melanie Margalis. Check out the USA Swim Squads battle for points and cash. USA Swimming added a little incentive to the Pro Swim Series, with four Olympians – Cammile Adams, Elizabeth Beisel, Connor Jaeger and Maya DiRado – leading a squad of hand-picked National Team swimmers that will vie for individual points, cash prizes and a series prize of $10,000 that will be donated to charity. With one meet already in the books, the race for the top prize is tight and each squad will look to jump ahead on the leader board in Des Moines. USA Swimming’s Online Meet Entry for the event is open now and will close Tuesday, Feb. 26 at 11:59 p.m. Mountain Standard Time or as soon as the entry cap is reached. Online meet entries may be submitted at usaswimming.org/ome. Tickets for this top-level event, which is expected to feature a number of Olympic gold medalists, world champions and members of the USA Swimming National Team, are on sale now at usaswimming.org/racingtime.